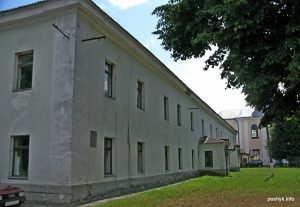 Pinsk Holy Barbarian Monastery (Bernardine Monastery). Pinsky Holy Barbarian Monastery was first mentioned in the first half of the 16th century, when the Pinsk Prince Feodor Yaroslavich gave the monastery the nearby villages of Vysokoe, Goltsi, Duboy, Lysotsk and the Piskalovshchina courtyard. The buildings of that time were mostly built of wood. 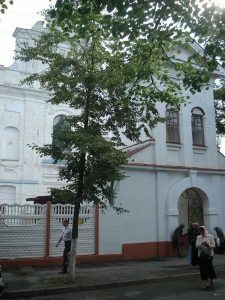 At the end of the 16th century a new monastery church was built here, which was named after the Holy Great Martyr Barbara. 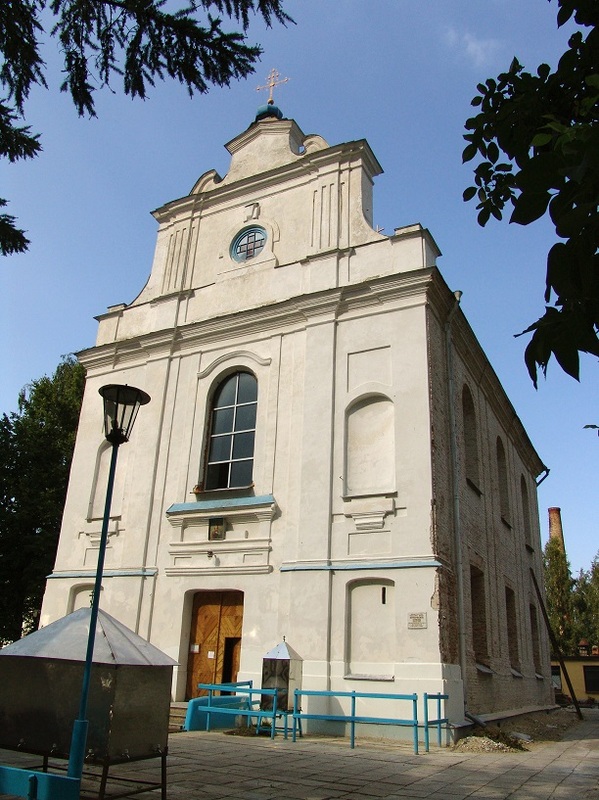 After the adoption of the Brest Union, the monastery was transferred to the Bernardine order (the 17th century). 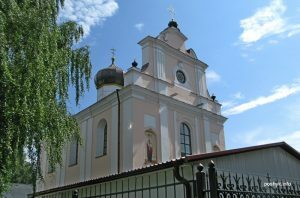 But already in 1839 the Pinsk Holy-Varvarinsky monastery again returned to the Orthodox. 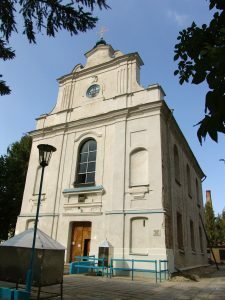 From the buildings included in the complex of the monastery, it is worth noting the Holy Barbarian Church (St. Barbara’s Cathedral), which was erected by the Bernardine monks in the late 18th century in the Baroque style. 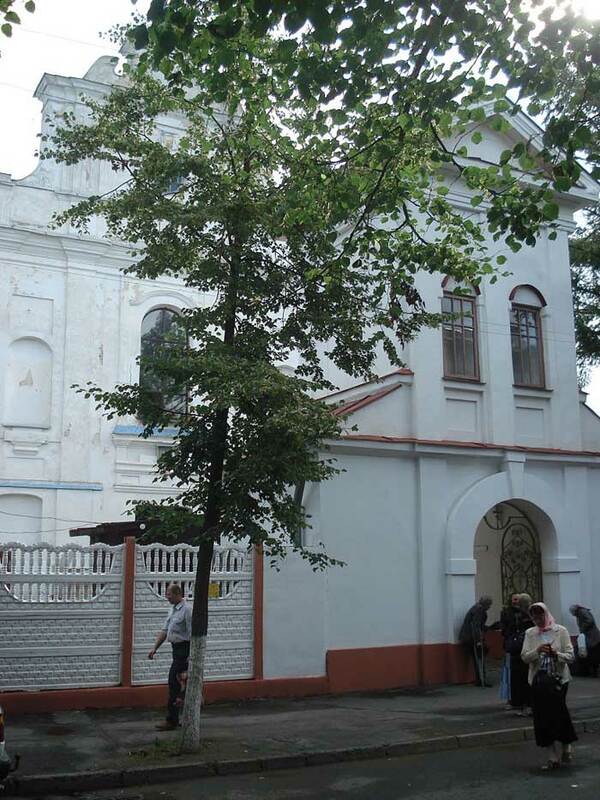 Originally built as a Bernardine church of Michael the Archangel. The church is one of the simplest single-nave and towering temples. Throughout its existence has constantly changed, rebuilt, complemented by new architectural elements. 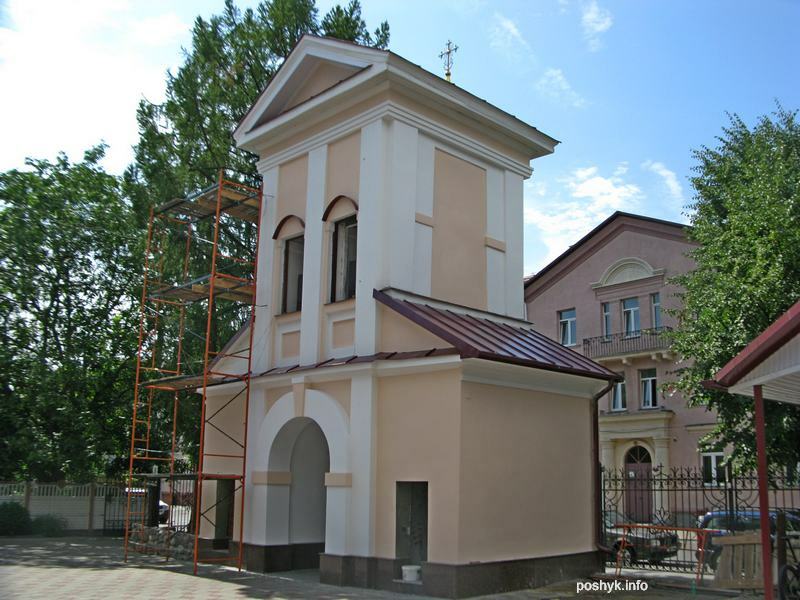 In the beginning of the 19th century, near the church near the temple in the style of classicism was built a two-tier belfry and a monastery building. 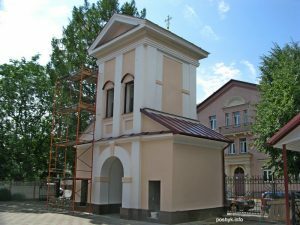 In the Holy Varvarinsky Church there is one of the most famous and revered miraculous icons in Belarus – the Mother of God Hodegetria of Jerusalem, the date of its creation dates back to the late 15th – early 16th centuries. 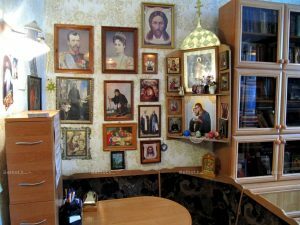 In addition to it, there are other holy relics that were created in the 18th century – the icon of the Mother of God “Tenderness”, the icon of the Three Saints, the Savior Pancreator (1776), the image of St. Nicholas the Wonderworker, the image of the Trinity and others. Also in this church are stored a part of the relics of St. Barbara. Annually thousands of pilgrims and believers visit the temple to worship the shrine. After all, it is believed that St. Barbara protects people from death without repentance and communion. It can help in resolving family conflicts and problems, heal from depression. In addition, St. Barbara is the patroness of travelers. Pinsk Holy Varvarinsky Monastery is included in the state list of historical and cultural values ​​of the Republic of Belarus and is an object of historical and cultural heritage of the republican significance. Now the monastery has a library and a Sunday school.